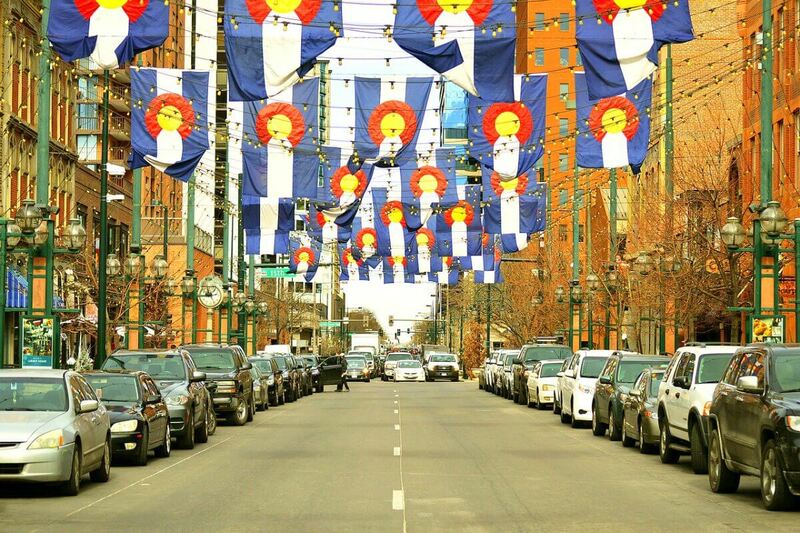 Whether you've come to Denver for its scenic surroundings, beautiful parks, craft beers or thriving art scene, you don't want to stress about finding cheap parking. We've got some tips to help you make the most of your trip. You'll find metered spots all over downtown Denver, but you need to keep an eye on the signs nearby for time limits and exceptions. Meters typically cost $1 per hour with a two-hour parking limit. All meters accept change, and there are many newly installed "smart meters" that also accept credit cards. Meter parking is free from Monday through Saturday after 10 p.m. but there is no parking allowed on Downtown Denver streets between 2 am and 6 am. Parking is also free all day Sunday and on city holidays. In addition to the paid spots available in Denver, there are places on the edges of downtown where you can legally park on the side of the street for free. Be sure to carefully read the signs when attempting to park anywhere outside of a metered spot or paid parking lot; many of these neighborhoods will have some parking restrictions or may require a permit. If you're using street parking for a longer stay, be sure to move your vehicle at least 100 feet every three days when parked on the street. You can also find reasonable rates at garages all over downtown Denver. Rates vary depending on the location of the lot, and can fluctuate if there is a major sporting event that day or night. If you aren't in town specifically to attend a game, you might want to steer clear of downtown on big game days, and explore the mountains or nearby parks instead. The Colorado Convention Center lot is convenient for all downtown visitors, with an easy to find location. The garage provides access to the Colorado Convention Center and the Denver Performing Arts Complex. The garage is open 24/7 to everyone, even if you aren't visiting the convention center. Several websites and apps can help make your search for cheap or free parking in downtown Denver go even smoother. ParkMe allows you to sort results by distance or price, and displays the free percentage of parking spaces in any garage on their list. Parkopedia lets you map out your walking route to your planned destination from the available parking spots, and choose a spot with the best combination of price and walking distance that works for you. SpotHero and ParkingPanda allow the added convenience of booking ahead of time, making it even easier for you to start exploring downtown Denver as soon as you arrive.